Five years after The Way of All Flesh first made an impact on a generation of emerging writers, Butler’s friend and collaborator Henry Festing Jones initiated a series of events, known as the ‘Erewhon Dinners’, to keep Butler’s memory alive. Many notable literary, artistic and social figures of the time assembled at these occasions, which were hosted annually from 1908 to 1914. 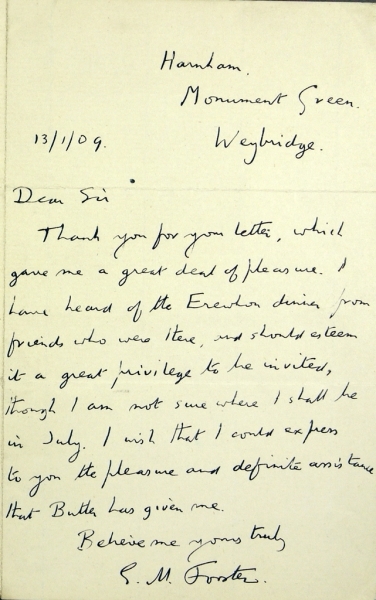 The novelist E.M. Forster (1879-1970) was one such attendee. 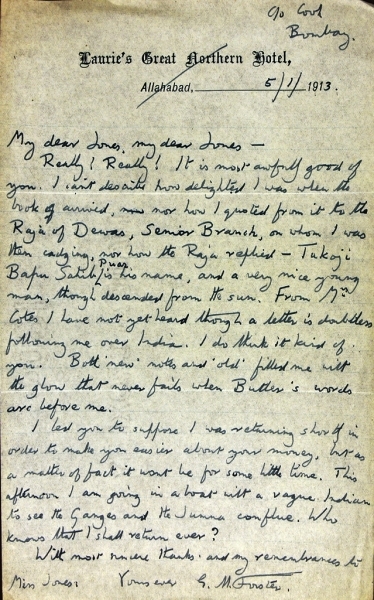 Many years later, in a radio broadcast, Forster identified Butler as one of the authors (along with Jane Austen and Proust) who had most influenced his writing and his view of life.